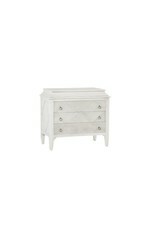 Made of porcelain white finished wood, the Marilyn Accent Chest is inspired by Swedish style. 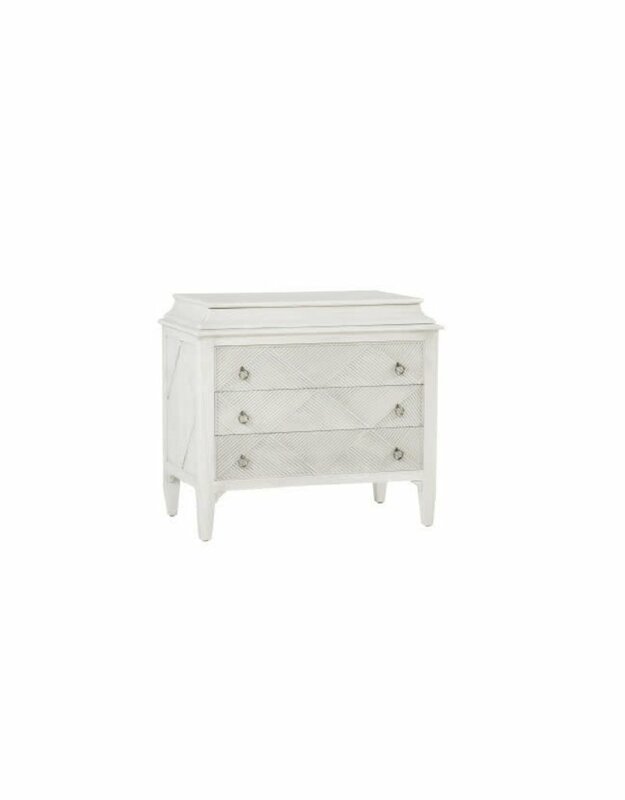 The carved grooves create a textured diamond motif that is integral in this vintage modern design. The hidden drawer that slides under the table top is a pleasant surprise for extra storage.